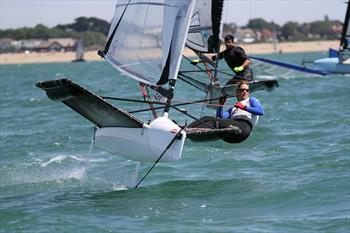 Blazing sunshine and a 10 knot South Easterly greeted the 59 boat Moth Nationals fleet at Stokes Bay Sailing Club. 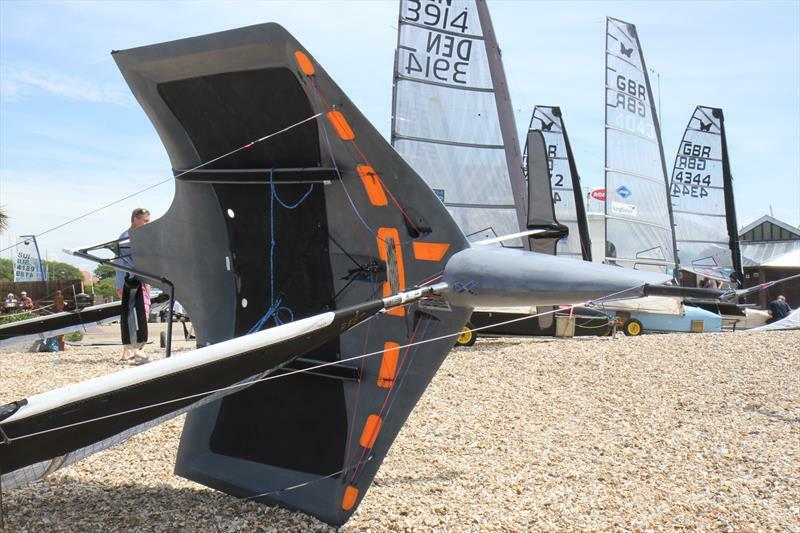 A number of new innovations were on display including Dylan Fletcher’s solid wings, Mike Lennon’s boom fairings and James Phare’s double-wand. Behind the leading pair, defending champion Mike Lennon came in third for a solid start to his series. “It was alright, I’ve got good pace on the boats around me. 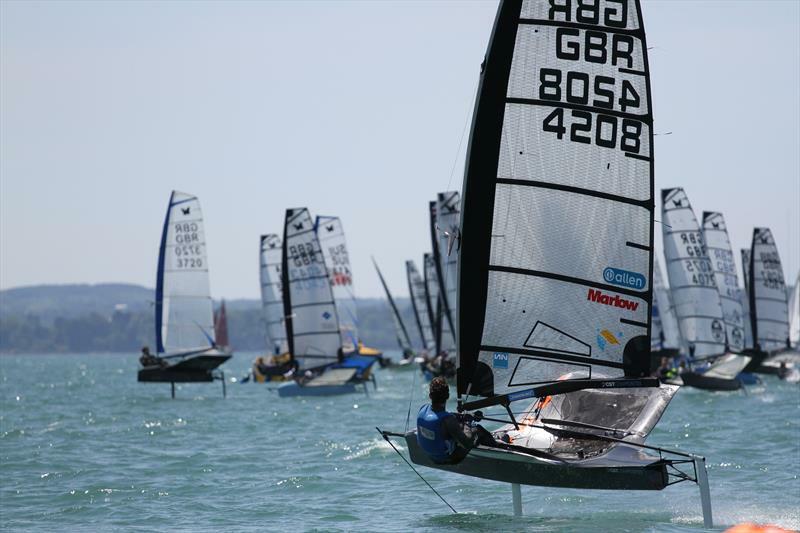 It’s tough racing but it was a cracking sail, perfect conditions while it lasted.” said Mike. 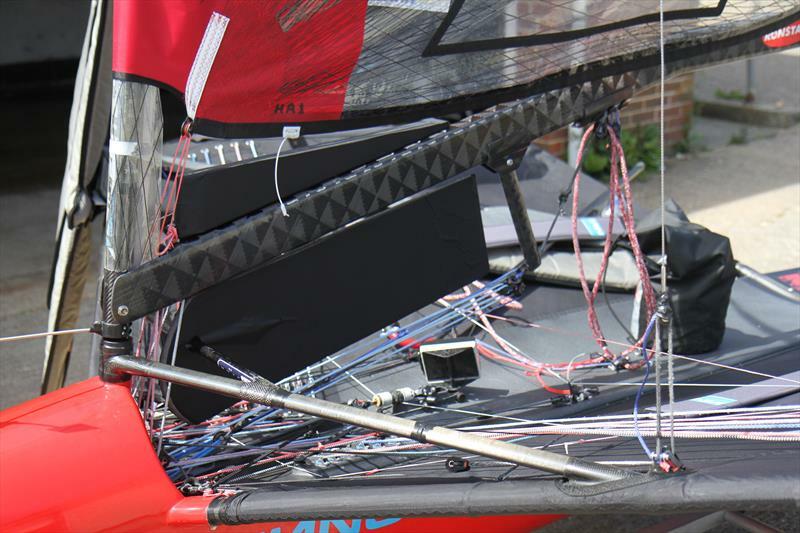 Luckily for Jason, and a number of other sailors on the right, the 2nd race was abandoned after the wind switched off, leaving vast holes on the course and the Moths low-riding into the shore. The committee kept the fleet postponed until 4.15pm when they called it a day. 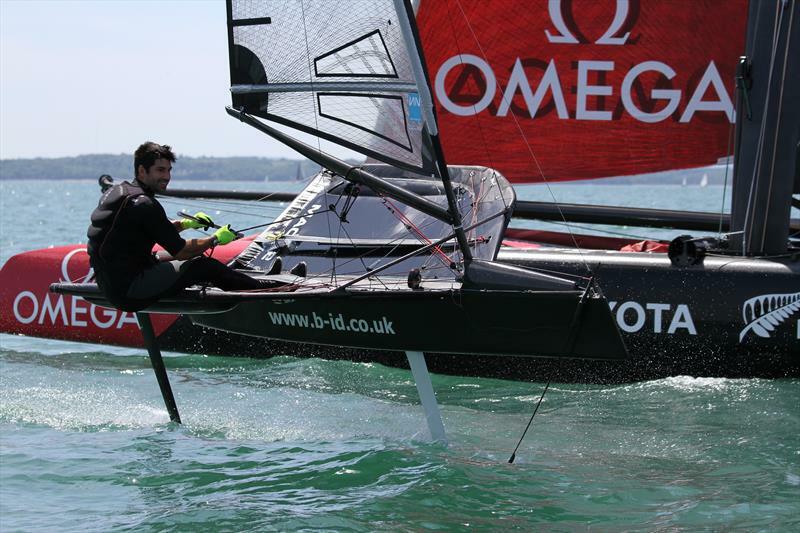 A few Moths went to buzz the Emirates Team New Zealand AC45 which was training in the Solent ahead of America’s Cup World Series Portsmouth. Racing has been brought forward to 11am on Friday to try and get things back on schedule.